Dr. Szuyu Jenny Chen, MD is passionate about women’s health and is known for her warm and nurturing approach to health care. She meets with patients at Bayard Street Obstetrics and Gynecology offices in Manhattan and Brooklyn locations. 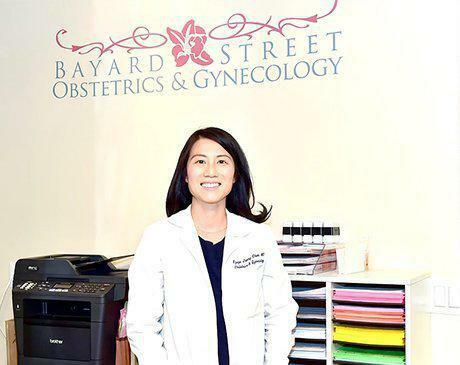 Dr. Chen is an OB/GYN generalist who specializes in the care of women who experience ectopic or tubal pregnancy, cervical polyps, abnormal Pap smears, vaginal discharge, sexual dysfunction, and urinary tract infections. She received her medical education and a Bachelor’s degree in biochemistry from the University of Washington. Dr. Chen was named chief resident of her specialty, while completing her obstetrics and gynecology residency at the New York Downtown Hospital. Dr. Chen speaks three languages: English, Mandarin, and Taiwanese. Like all Bayard Street Obstetrics & Gynecology doctors, she has teaching appointments at Weill Cornell Medical College and can admit and see patients at both New York Presbyterian Hospital Lower Manhattan. Dr. Chen is accepting new patients. Call the office to schedule an appointment. We accept the following insurance providers. Please contact our office if you have any questions.